If professional service and rich guest experience are the keys for building reputation and creating a loyal customer base for hoteliers, then seamless communication and systematic hotel management may lay the cornerstone. Considering this, the luxurious Seafield Hotel & Spa Resort recently has switched to the Yeastar hospitality solution to build a communication system well-crafted for the creation of a guest-centric environment, and facilitate its regular hotel operational tasks with next-level automation. The Seafield is a luxurious 4-star hotel, spa and golfing resort resource at a seaside location near Gorey in County Wexford, Ireland. It boasts 101 luxurious bedrooms, 64 Courtyard Family Suites, and an 18-Hole Golf Course, aiming to offer its guests best-in-class accommodation, fine dining, leading-edge conference facilities and gloriously stylish weddings. To streamline hotel operation and slash communication costs that spiraled with the booming volume of daily calls, Seafield hotel needed to modernize its phone system to support trunking to VoIP providers while maintaining current analog infrastructure. Its 100+ existing analog phone populating the hotel bedrooms are required to be kept in place along with the existing cabling from each room. 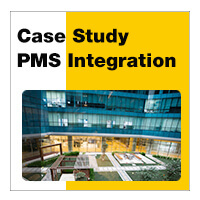 In addition, the new communication system must integrate smoothly with its existing hotel Premises Management System (PMS) provided by Hotsoft and other tools it used for its call billing and room services. To ensure a high level of guest experience for the hotel, one 200 extension Yeastar IP PBX and four Yeastar TA3200 VoIP gateways were installed and commissioned to help funnel voice operations. The existing analog phones in over 100 rooms and offices were integrated smoothly and cost effectively to the new Yeastar IP PBX system via TA FXS Gateway, minimizing the infrastructure investment while centralizing the call management. Also, the integration with the existing PMS Hotsoft has positioned hoteliers to work faster and smarter with less effort, let alone the rich powerful functionalities Yeastar IP PBX delivers for intelligent call process and control. Yeastar IP PBX is built from the ground up for real-world performance, with many standard facilities including intercom, call center queue management, voicemail and voicemail to email. All these have made it easier for the hotel staffs to deliver personalized services and prompt response to guest requests, contributing to better guest experience, which eventually helps retain loyal guests. Thanks to the char utile h+ PMS middleware, the integration between the hotel’s existing Hotsoft PMS and Yeastar IP PBX went very smoothly, including the integration with all the current call billing and room services. The hotel staffs are now allowed to allocate resources dynamically and automate hotel business processes through centralized control and management. Yeastar Hospitality Solution enables hotel staffs to communicate effectively with advanced features like auto-attendant, call center queue management, time conditioned routing of calls, voicemail and voicemail to email. Apart from that, the intuitive user-friendly web panel and the multiple dial-to-operate PBX feature codes also help the hotel operators to reduce the time spent on administrative activities and spend more time on devising innovative guest services. The Seafield Hotel now enjoys all the benefits of a modern IP Telephone system with excellent flexibility and major telephony cost savings through the choice of call traffic IP carriers. Besides, all analog phones are maintained thanks to the powerful Yeastar VoIP gateway, whose arrays doubled as excellent wiring patch points from the rooms. 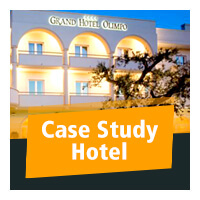 Moreover, the scalability of Yeastar IP PBX has offered the hotel an ideal growth patch for future needs at the resource.